Simply be one of the first 49 people to call me, just to chat (no cost, no obligation) and I'll rush you a certificate just like the one pictured below. 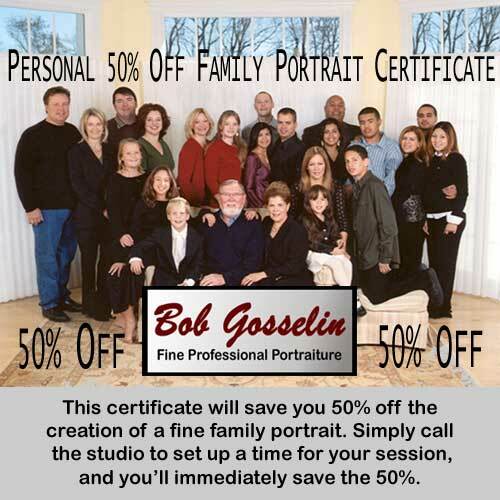 You can use that certificat to save 50% off the creation of your family portraits with me. CLICK HERE to contact me by phone to chat.